Are you looking for new and creative ways of working with your students? Have you noticed the rise of, as Time magazine puts it, “The Mindful Revolution”? During this presentation participants will have the chance to practice with some new tools on yourself, and learn mindfulness-based and creative techniques to use during your co-op and career advising sessions. Bulls Eye Exercise – An insightful and comprehensive tool for co-op and job decision making, especially helpful for when you are torn between two options. Face Your Fear, Free Your Energy (in the Job or Co-op Search) – Explore your worst case scenario and face those fears, as a means to getting unstuck and freeing up that energy that is being wasted on worry. Details here. The Power of Positive Thinking– Gratitude journals, affirmations and setting intentions can help when you are feeling a lack of hope, or just want a powerful boost for your job/internship search. Facilitator: Sabrina Woods is a Holistic Career / Life Coach & Linkedin Trainer, as well as an Career Coach at Harvard Chan School of Public Health. Sabrina has an MA in Holistic Counseling and BS in Business. In her private practice, she uses holistic principles and practices while working with individuals who are going through mid-career transitions and life changes. 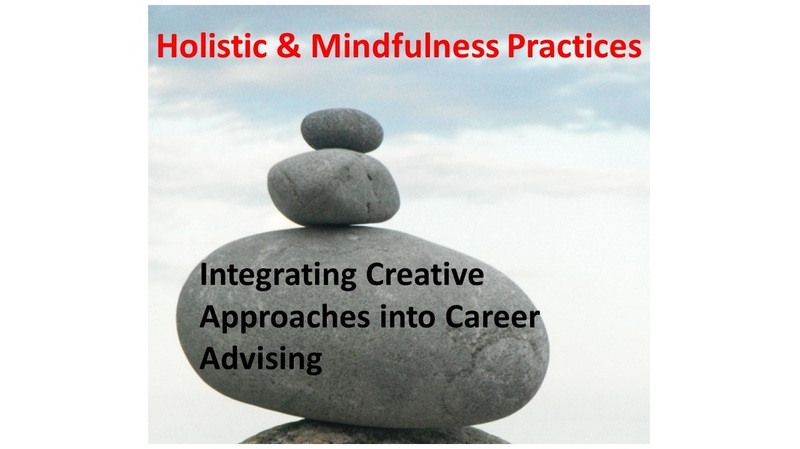 In her consulting work, Sabrina runs workshops and trainings at universities such as Harvard, MIT, Tufts, Newbury College, MassArt, and Suffolk on topics ranging from Linkedin to Integrating Mindfulness to Stocking Your Career Tool Kit.